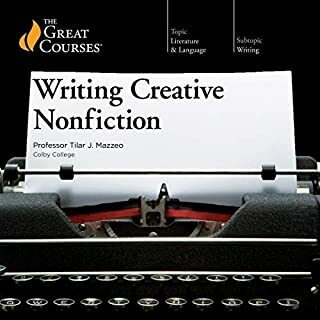 Tom Sawyer knows about successful creative writing - and how to teach the subject, from UCLA to Writers University to the Maui Writers Conference. Emmy and Edgar-nominated, Showrunner/Head Writer ofthe classic TV series, Murder, She Wrote, he authored the best-selling thrillers The Sixteenth Man, and No Place to Run. He is co-lyricist/co-author of JACK, the opera about JFK that has been performed to acclaim in the U.S. and Europe. I felt the need to review this book for two reasons. First, it is a helpful book filled with amusing and insightful hints on how to improve your storytelling. 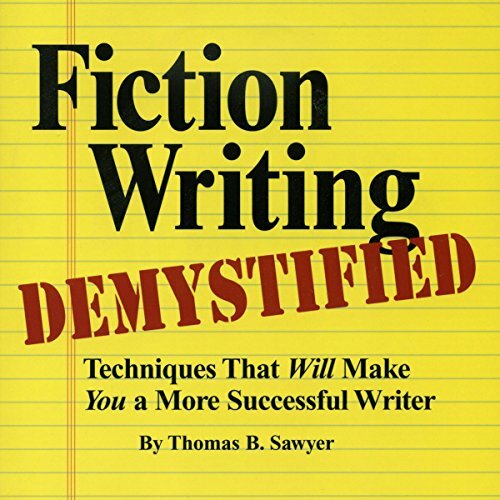 Especially for an amateur fiction writer like myself, I found it highly accessible and informative. More importantly, though, I wanted to respond to one of the other reviews on this site that claims the audiobook is unlistenable because the narrator pauses occasionally to read author names of referenced works. I felt this was worth addressing because I almost didn't purchase the book after reading that review. After having listened to the book, however, I am puzzled by that reviewer's complaints. The listing of author names is only a tiny, tiny fraction of the entire text, yet the reviewer would lead you to believe that you are listening to book a full of writing credits. I find it very odd that it would be the salient point taken from listening to this book. Further, I would suggest that if the reviewer doesn't have enough reverance to listen to a few names of people who have written the best examples of fiction (examples that often perfectly illustrate the author's points), then they should probably re-think why they purchased the book in the first place. Either way, once you read the book, you will likely agree with me that those comments are misplaced and just...strange. I've spent thousands of $$$ on creative writing courses, seminars and books. This has everything in it, It covers outlines, plot, characters and dialogue. It covers scenes and how to write them. Why is this book so good? Because the author has spent his life teaching writers how to write, and being paid when he succeeds. He's been a producer on murder she wrote and other shows. If you want to write a novel or screenplay read this first. A god send if you are looking on how rather than why, or what. This book will help you cut the crap and get on with the business. You still need talent but this book will give the right direction to making it happen. one of the best nuts and bolts books on the craft of writing in any genera. This is the 3rd listening, and each time I have gotten incredible insight into my own way of story telling. There is a lot of useful information in this book. I ended up buying the kindle edition as well. Yes! 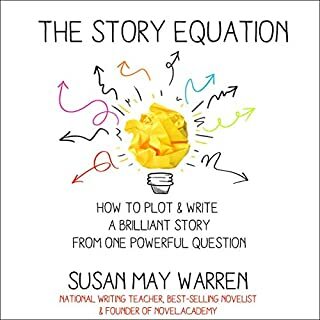 Writers will enjoy this book - and benefit from all the good tips on creating characters, writing dialogue, developing a plot and most of all - entertaining their readers. 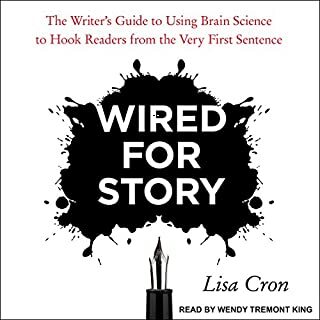 Listening to this book is like having Tom Sawyer teach an entire course in fiction writing - with many hilarious stories from his own experiences in TV writing as well as many real examples of how to be an excellent writer. What does Jeffrey Thibeault bring to the story that you wouldn’t experience if you just read the book? Jeffrey does a great job of narrating this book - very breezy and lively style - a pleasure to listen to him. 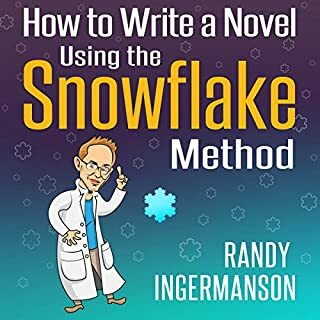 This book made me rush back to my computer and try to finish my screenplay using some of the good ideas I had just heard. 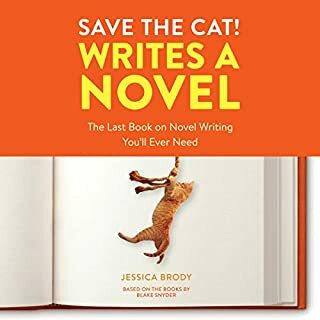 This book has the authors opinion on do's and don'ts of general writing (techniques). There is little about getting started and NO STEP BY STEP instructions, which is what I hoped for. You won't learn anything about writing software, publishing, or much about editing. Don't get me wrong, there is a LOT of good information in here, but its not very user friendly (at least in audio format) I would hope the paper copy would contain outlines that summarize the contents into a usable form. There is good information about belittling your reader, story pace and self editing. The author is a screen writer by profession, so expect a lot of his examples and references to be TV and movies. It is kind of funny how often Sawyer says, "This is a cardinal no-no..." and then immediately gives an example of an exception he likes really well. You can easily listen at 1.5x speed. The narration was good. I like 'The Successful Novelist by David Morrell' better. Hope this helps. Later. I can never get enough of listening to someone who is good at his/her art/profession. This is one of those opportunities. I can’t wait to mark up my first draft with revisions! Looking for a practical and effective overview on great storytelling? Here it is! I can’t wait to implement the techniques discussed. What did you love best about Fiction Writing Demystified? It is real advice from a writer who has had great success. Sawyer speaks from experience - not just the "success" of having self-published a couple of titles, but from years in the scriptwriting business. He provides great examples from shows we all know. Who would you have cast as narrator instead of Jeffrey Thibeault? Someone who knows how to use the letter "T"
Every dropped "t" made it less likely that I would finish the book. It's a good thing Sawyer's writing is so clear and interesting. 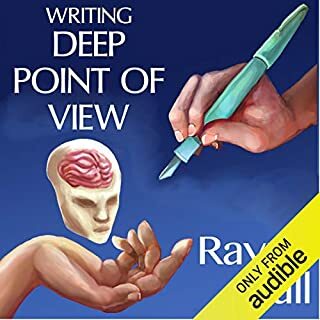 One of the most informative books on writing. Absolutely loved this book! As a new writer it is imperitive to keep being encouraged by other writers and learn from them. This book does it all and more! I picked up so many tips and insights into the craft of writing. I know I have thoroughly enjoyed a book when I don't want it to end!! I rarely re-read books but I know that this brilliant book will be my go to when I need advice as I tackle my first novel.